On Tuesday, February 5 the Yarmouth Village Improvement Society (VIS) is offering a free program with Trendy Stanchfield from Midcoast Humane at their next regular meeting. One of her topics will be aging in place with your pets. 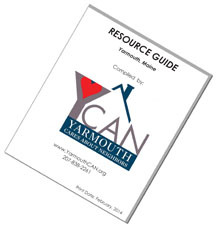 The event will begin with half an hour for socializing at 10:30 am, followed by the program at 11:00 am in the Community Room of the Yarmouth Town Hall.